Big car-robots do their big car-robot thing at the multiplex, while indie releases include a documentary about a 1950s urban activist and a pair of 2017 Sundance comedies. Zoe Lister-Jones' Band Aid finds acidic comedy in a couple turning their dysfunctional marriage into songs, until it all gets a bit too real. Beatriz at Dinner aims for comedy of manners about a working-class Latina at a swank dinner party, but instead mixes its smug punch lines with a truly misguided final 15 minutes. Citizen Jane: Battle for the City explores 1950s/1960s "urban renewal" projects through the philosophies of journalist Jane Jacobs, which are more interesting than the plentiful talking-head material. 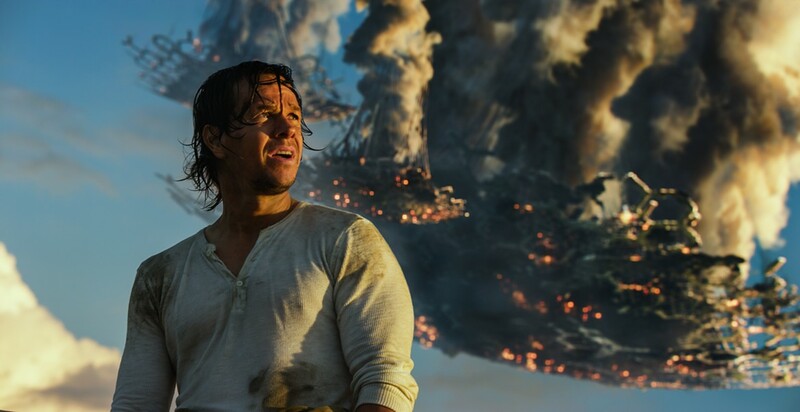 Eric D. Snider laments that even the weird stuff you've heard that might make you want to see Transformers: The Last Knight (pictured) winds up dumber and clumsier than you can imagine. MaryAnn Johanson still sees the promise in director Ana Lily Amirpour's post-apocalyptic horror thriller The Bad Batch, even if it's over-long and problematic in its depictions of people of color. In this week's feature, I chronicled a 10-hour marathon of Transformers movies and lived to tell the tale.